Nickel silver has existed for over 2000 years and is a non-ferrous copper alloy with nickel and often zinc. The usual formulation is 60% copper, 20% nickel and 20% zinc. Nickel Silver is named for its silvery appearance, but it contains no elemental silver. Most modern Nickel Silvers contain significant amounts of zinc, and is sometimes considered a subset of brass. 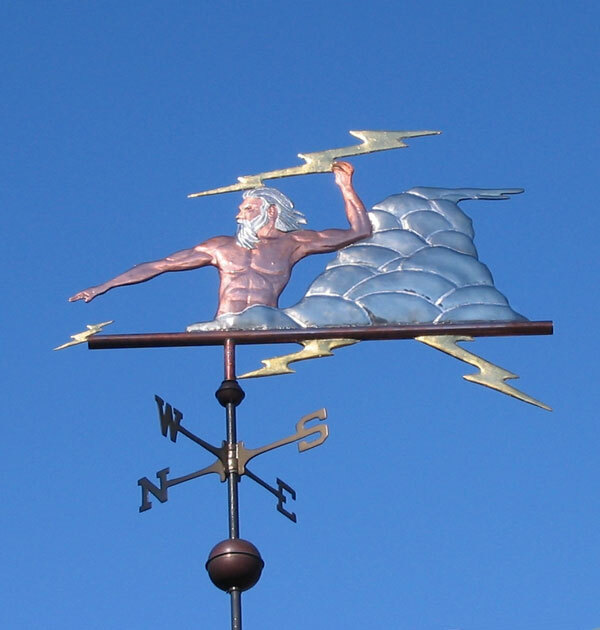 Although malleable, Nickel Silver is harder than either copper or brass and is limited to use as an accent in our weathervanes. 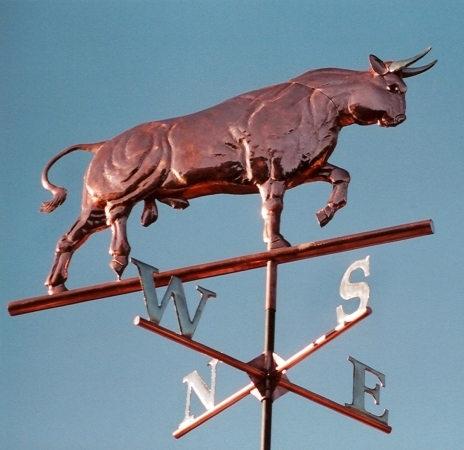 It is also more expensive than copper or brass, so may add to the cost of a weathervane to which it is added. It is highly resistant to environmental corrosion and is suitable for soldering and welding. 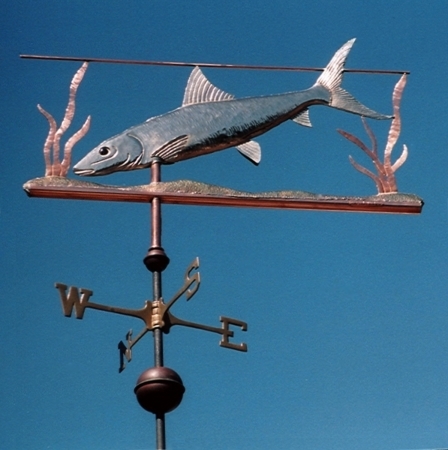 When exposed to oxygen for long periods it eventually develops a brownish-green protective oxide, or patina. 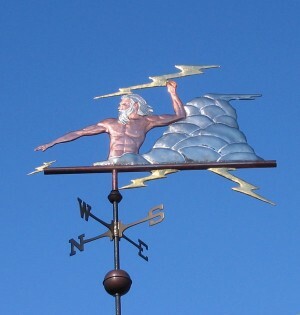 In this Zeus Weathervane we used Nickel Silver for the billowing clouds, Zeus’s hair and his beard. 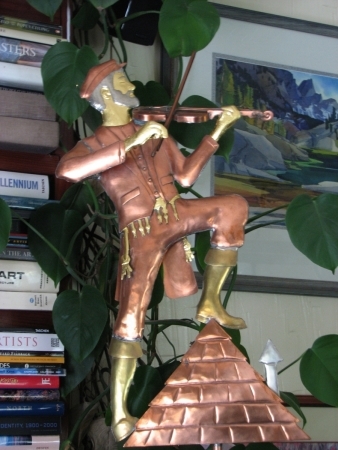 Nickel Silver is a stiffer, less malleable metal than copper and brass so we typically use it only as an accent metal. 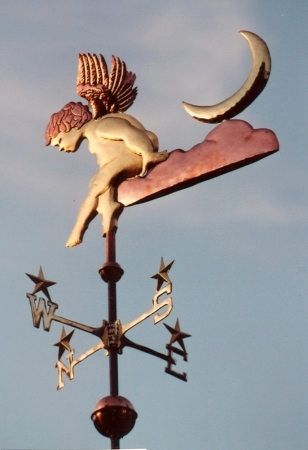 In the case of the clouds, the hand shaping was relatively easy to do, so we were able to use it for a larger section of this weathervane than is normally the case.